If you forgot your password or haven't set one up, and you can't log-in, fear not: setting your password is only a few clicks away. Open up the app and click on Sign In on the welcome screen. 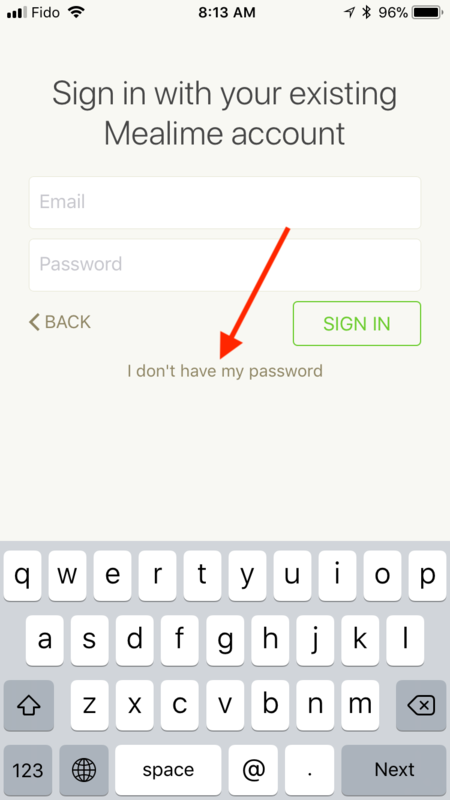 Next, tap on the I don't have my password link located just underneath the Sign In button. 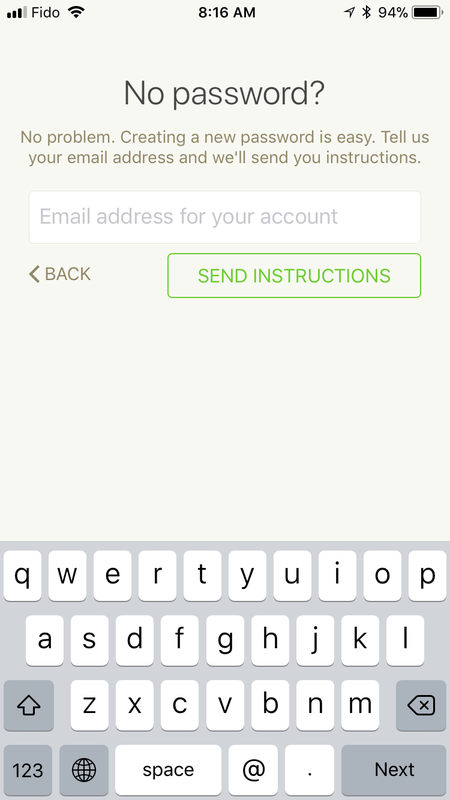 Lastly, enter the email address you used to sign up to Mealime in the field and tap on Send instructions button. You should receive an email within a few minutes. Please open it up and tap on the Reset your password button. Create a new password and click Submit. And that's it! 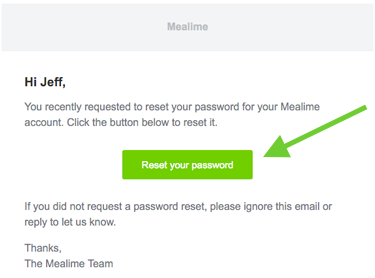 You should now be able to log-in to your Mealime account with your new password. 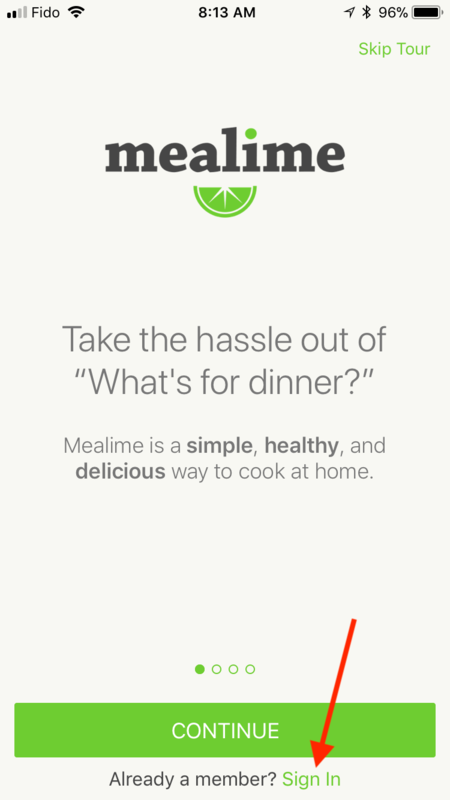 If you run into any issues with this process and require additional help, please email us at hello@mealime.com. First, open up a web browser and navigate to http://app.mealime.com/password_resets/new. 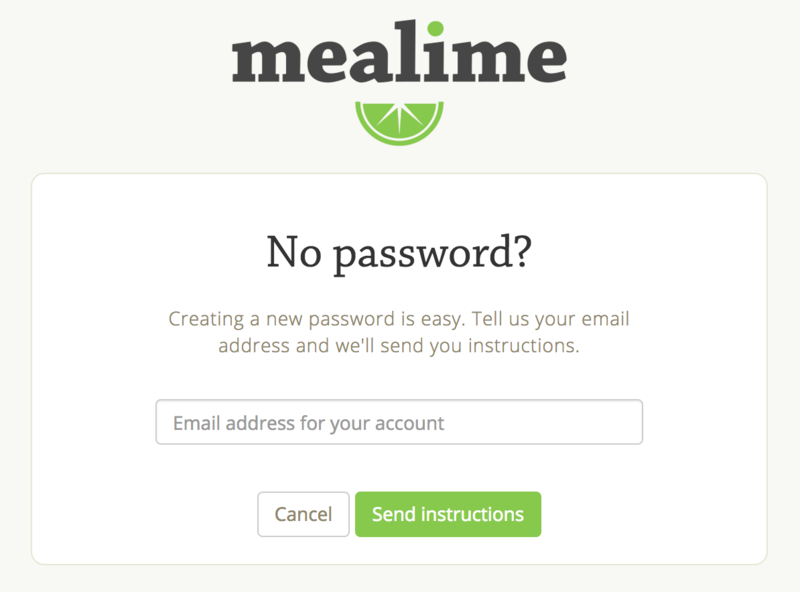 Enter the email address you used to sign up to Mealime and click Send instructions. Once you receive the email, click the secure link titled Reset my password. And that's it! 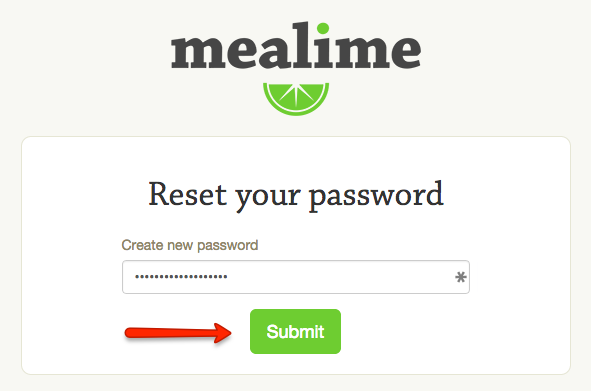 You should now be able to log-in to your Mealime account with your new password. If you run into any issues with this process and require additional help, please click the Contact us link below to email us.